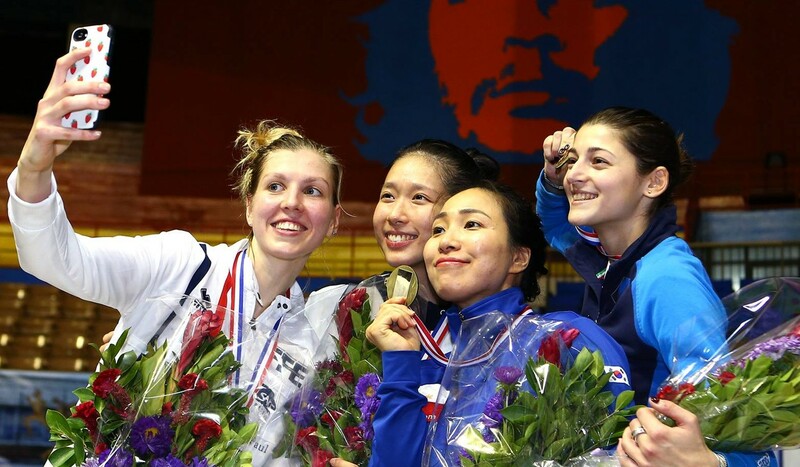 Vivian Kong Man-wai became the first Hong Kong fencer to win a World Cup title after her success in the series in Havana, Cuba on Saturday. Kong, who will turn 25 next month, overwhelmed France’s Auriane Mallo 15-8 in the epee final to clinch her maiden World Cup victory. She cruised to a 15-6 win over Violetta Kolobova of Russia in the quarter-finals before putting up another good performance when she defeated Italy’s Nicol Foietta 15-7 in the semis. Not only did her result meant that she has become the first Hong Kong fencer – man or woman – to win a World Cup title, it also boosted her qualification hopes for the 2020 Tokyo Olympics. She is now ranked seventh in the world. Kong’s form has been on the rise lately. She claimed a silver medal in the series in Tallinn, Estonia two months ago after losing to veteran Jung Hyo-jung of South Korea. She then returned home for the Hong Kong Open where she won the gold medal after defeating China national team member Xiang Yixuan. The Havana World Cup is Kong’s first tournament of the year, the same event that saw her finish with a bronze medal in 2018 when she came back from a career threatening cruciate ligament injury. And Havana proved to be her happy hunting ground as Kong this time went all the way through to the final before snatching gold. Hong Kong sent four fencers to the tournament but Kong was the only one who made it to the knockout stage with a direct berth because of her world ranking. She also hopes to help carry the Hong Kong women’s épée team to Tokyo, occupying ninth spot in the world. Hong Kong are competing for a direct Olympic entry qualification for Tokyo with Asian powers South Korea (third in the world) and China (fifth).